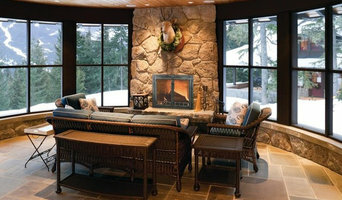 Shop Chimney specializes in fireplaces, barbecue grills, and outdoor living products. We are dedicated to customer service, and delivering the quality and prices you've come to expect. Chesneys is the world’s leading supplier of hand carved stone mantelpieces and architectural stonework. The company’s success is based on a passionate commitment to good design, intelligent engineering, craftsmanship, innovation and outstanding service. Good design is intrinsic to every Chesneys product. Our period mantelpieces are exact copies of antique originals while our contemporary mantels include the work of leading designers reflecting current trends in interior design. The company is unique in the collaborations it has forged with historical bodies such as The Sir John Soane Museum and The Lutyens Foundation and prides itself in preserving and promoting traditional techniques in manufacturing whether hand carving a marble chimneypiece or forging steel on a blacksmith’s anvil. These are labor intensive and highly skilled processes for which there are no substitutes. The scope of the company’s business has expanded exponentially since it was founded. Chesneys was initially concerned with the restoration of antique mantelpieces but made a quantum leap in the early 90s with the move into the reproduction of period fireplace designs. Chesneys pioneered the manufacture of authentic reproductions of fireplaces in stone at an affordable price, and more recently has diversified into architectural stonework, securing projects worldwide for specialist items such as cantilevered staircases and classical stone facades. Finally, and most importantly, Chesneys has always aimed to provide the best possible service to its customers, an aspiration which has served the company well. In addition to the flagship showrooms in London and New York, Chesneys products are now sold through over 200 authorized dealerships in the UK, Europe, Middle and Far East and North America. I am Sofia Smith & efficiently deal with all brands of Printer in very reliable way. I have years of experience to handle all technical & non-technical issues of Printer & are backed up with a team of certified, trained & knowledgeable professionals to offer you best service from our side. Like other service provider, we are not limited to a single edition, instead of it we offer support to all brands, versions & models of Printer such as Canon, Lexmark, Kodak, OKi etc. We not only eradicate your all current issues but also guarantee that you may not have to face any such issues in future also. So be in touch with our business service number 1-888-678-5401 to get an instant support from anywhere. Artisan Kraft is committed to providing its customers with the highest quality marble, limestone, cast stone and travertine products. Our collections include marble fireplaces, stone bathtubs, range hoods, fountains, architectural surrounds, furniture and outdoor fire pits. Exterior home products such as columns, surrounds, benches and other home and patio items are available for sale. We offer an extensive selection of products in any style. Traditional, French, Italian, Contemporary, Country, Old World, Tudor, Modern, Romanesque, English, Tuscan, and Mediterranean. All products are customizable. Custom marble fireplace designs, sizes and dimensions are our specialty. Cast stone/precast fireplaces can be made the same way. CAD (drawings) are typically provide for most items that are being made. This way clients are able to see the design and all the dimension of their item prior to manufacturing. Natural stones offered by Artisan Kraft are marble, limestone, travertine, sandstone and onyx. Once a general family or style of stone is selected there is a huge selection from there. There are over to 50 marbles to choose from. Some of those marbles are Carrera, Egyptian Cream, Crema Marfil, white, red, yellow, black, Italian Arabescato e.g. Limestone, Travertine and Sandstone each also have their selection of stones. Cast stone also know as precast or man made stone is available is almost and color. Artisan Kraft mixes it's own stone matrix during the manufacturing process making custom colors possible. There are also two cast stone finishes available. A smooth finish that is similar to limestone and sandstone. And a handpacked finish that is similar to travertine. 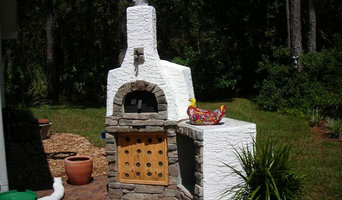 Precast or cast stone can also be finished in a way to give is an old world look or that rustic tarnished look. Great for a French country style home or a Tuscan/Mediterranean look. Artisan Kraft offers styles that are simple contemporary, yet refined or large and elaborate fireplaces that are very ornate. 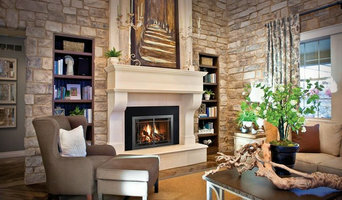 We design and manufacture fireplaces that are simple surrounds, large overmantels, and custom wall units. If one has an idea of what they would like made Artisan Kraft can also do that. 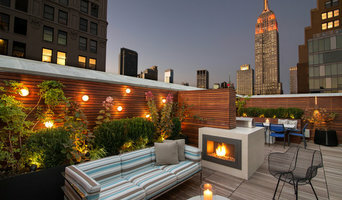 Customers have approached with their own ideas for things to be made such as tables, benches and pergolas. Installation is provided on most stone products in the Chicagoland area. Some projects may also be installed out of state depending on the size of the project. Ob Kohle-, Gas-, Ethanol- oder Elektrokamine, den richtigen Kamin oder Ofen finden Sie im Kaminfachhandel, bei Kaminaussteller, in Kaminstudios oder direkt bei Kaminhersteller. Die Experten in Passaic, NJ beraten Sie vor Ort ebenfalls zu Holz- und Pelletöfen. Sie erhalten eine ausführliche Beratung zu den den verschiedenen Bauarten unterschiedlicher Öfen oder Kaminen, zu Brennstoffen und zu Funktionalität wie zum Beispiel wasserführende Kamine, Warmluft- und Speicherkamine sowie Kamine als Heizkessel. Die Montage und die Installation wird durch den Kaminbauer durchgeführt. Was macht ein Kaminbauer in Passaic, NJ? Neben dem Kaminbau beraten die Experten Sie auch zu Reparaturen und Sanierungsprojekte. Nach einer ersten Untersuchung führt der Kaminbauer in Passaic, NJ die Kaminsanierung oder einzelne Reparaturen durch. In Deutschland gibt es strenge Bauvorschriften für den Bau von Kaminen, Edelstahlkaminen und Kachelöfen. Grundsätzlich befinden sich in jedem neueren Gebäude innerhalb Deutschlands Heizschächte für den Kaminbau. Hängt an einem einzügigen Kaminschacht bereits eine Heizungsanlage, steht Ihnen der Zug nicht mehr für den Anschluss eines offenen Kamins oder für Kaminöfen zur Verfügung. Eine Alternative stellen moderne, außen am Gebäude befestigte Edelstahlkamine dar. Kaminbauer in Passaic, NJ brechen die Außenwand durch und setzen Rohre an die Gebäudemauern. Die Dimension für den Kamin richtet sich wie bei einer Heizanlage nach den Heizwerten Ihres Ofens. Als Grundlage für die Berechnung der Größe dienen die Heizwerte der anzuschließenden Kaminöfen. Die Kosten für ein Kaminbau, sowohl für einen Außenkamin als auch für das Einziehen von Edelstahlrohren in einen bestehenden Kamin, richten sich nach dem Arbeits- und Materialaufwand. Vor der ersten Inbetriebnahme muss ein Schornsteinfeger die Kamine abnehmen. Was Kosten Kamine und Kaminbauer in Passaic, NJ? Die Kosten für einen Kamin in Passaic, NJ sind ganz unterschiedlich. Sie hängen vom Aufwand, dem Schwierigkeitsgrad und den Materialkosten ab. Die Kosten für Fertigkamine sind niedriger als neue Kamine, die gemauert werden. Die Größe des Kamins spielt dabei ebenfalls eine Rolle. Ist der Kamin defekt, dann muss der Schaden begutachtet werden. Entsprechend des Umfangs folgt eine Sanierungen bzw. Renovierung des Kamins oder Ofens. Die Kosten sind dabei abhängig vom Schaden. Die Kosten für den Kaminbauer sind im Kaminbauprojekt enthalten. Kontaktieren Sie Kaminbauer und erhalten Sie unterschiedliche unverbindliche Angebote. Durchstöbern Sie die Liste der Anbieter für Kaminbauer, Ofenbauer und Kaminhersteller und speichern Sie die schönsten Bilder von gebauten Kaminen in einem Ideenbuch. Mit der Eingabe Ihres Standorts können Sie die Suche nach einem Kaminstudio oder einem Fachbetrieb für Kaminbau in Passaic, NJ verfeinern. Lesen Sie Bewertungen, um von den Erfahrungen zu profitieren, die andere Kunden mit dem Experten gemacht haben. Kontaktieren Sie dann Ihren favorisierten Ofenbauer oder Kaminhersteller, um weitere Infos zu Ihrem Auftrag zu erhalten.